Singapore Post - DBS Research 2018-07-16: Opportunities Abound! Leveraging on existing network to capture new growthareas, such as medicine, food, and grocery delivery. Medicine delivery in Singapore has strong growthpotential. Reiterate BUY, Target Price of S$1.55. Opportunities abound, reiterate BUY with Target Price of S$1.55. Singapore Post (SPOST) has embarked on a five-year “LEAP23 strategy” as it outlines its transformation execution strategy. SPOST is also exploring new opportunities such as food, medicine and grocery delivery. This analyst report is shared at SGinvestors.io. recovery in the Logistics segment from market share gains in Singapore. SPOST eCommerce-related revenue grew 27% y-o-y in 4Q18 and formed c.60% of total revenue. With c.3% yield, SPOST is a unique play on e-commerce-logistics growth in Asia. We believe that SPOST, being the dominant player locally with low cost of capital, is well-positioned to establish market leadership in Singapore’s fragmented eCommerce logistics sector (~20% market share in parcels). In the near term, any turnaround at SPOST’s eCommerce and Logistics segments would be a major catalyst for its share price. In the medium term, we believe that new areas of opportunities, such as food, grocery, and medicine delivery, as well as the potential divestment of SPC mall could be catalysts. Maintain BUY, Target Price of S$1.55. We use DCF valuation (WACC 6%, terminal growth rate 3%) to derive our Target Price of S$1.55. The stock offers a yield of c.3% at the current share price. Impact of higher terminal dues (increase in international small packets postage rates cannot negate rise in terminal dues) and further escalation of eCommerce losses could depress SPOST's bottom line in the medium term. The opening of Alibaba’s regional logistics hub is also a downside risk for SPOST. The LEAP23 strategy – a five-year transformation journey. Under its CEO, Mr Paul Coutts, Singapore Post (SPOST)’s five-year roadmap (LEAP23 strategy) outlines its transformation execution strategy. Notably, SPOST has established a Group Transformation Office to coordinate and drive transformation initiatives within the group, and a global conference in April 2018 saw the gathering of 400 leaders across the group. 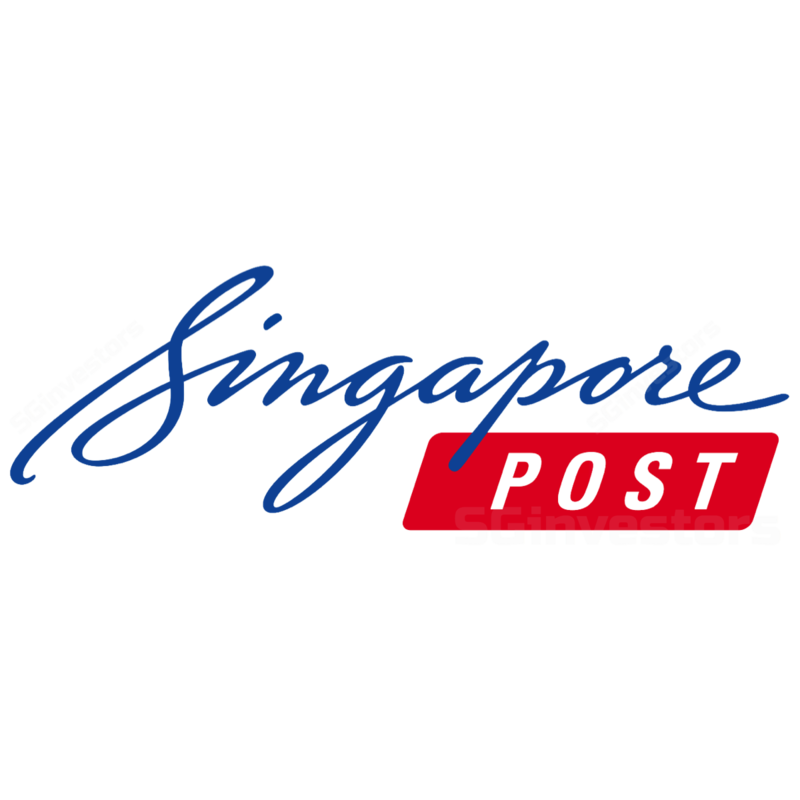 We believe SPOST is in a good position to establish its market leadership in Singapore’s eCommerce logistics sector, one of the four themes of its strategic review. We believe that SPOST is well-positioned to capture the opportunities in new areas of growth in food, medicine and grocery delivery services, as it shifts its focus towards e-commerce and becoming a “last-mile” logistics powerhouse. Medicine delivery would be feasible while leveraging on its existing delivery network (and potentially earnings accretive), while food and grocery delivery might require some investments in logistics infrastructure. Medicine delivery has room for growth in Singapore. According to our channel checks in the industry, hospitals and polyclinics have started offering medication delivery and pick- up services in the last year. The delivery provider varies across different hospitals and polyclinics, and we believe that SPOST is able to offer an attractive value proposition for medicine delivery by utilising its existing delivery network. Our channel checks show that this segment is largely unconsolidated with a mix of small and big players, and different logistics partners charging a wide range of rates for home delivery. From our channel checks, medicine delivery has been gaining traction especially for patients on long-term prescriptions who need timely refill of medicine. Patients will benefit from not having to travel and queue to collect their medications. We feel that the delivery service will gain relevance in Singapore, where an increasing number of chronic patients are on long-term medication. POPStations remain the dominant parcel locker network. Locally, we believe that SPOST’s POPStations remain the dominant parcel locker network in Singapore, with presence in 160 locations. Competitors which have emerged in the last two years include bluPort, which has over 70 locations which can be commonly found within convenience stores, shopping malls, among other places. Ninja Box has also 20 locations across Singapore as of May 2018. Common parcel locker network – positive for SPOST. SPOST will also be running a one-year pilot in Punggol under Info-communications Media Development Authority (IMDA)’s nationwide common parcel locker system program where 39 locker sites will be located within 250m of HDB residential blocks. Locker stations will also be made available at MRT stations. We understand that the current POPStations, across 160 locations, are seeing healthy utilisation and believe that in the long run, such locker networks will benefit SPOST as this is not capex intensive and would help to address operational and cost issues of having to redeliver parcels (at SPOST’s cost) should consumers not be able to receive the delivery. Continue to monitor mail margins. We remain watchful on mail margins as some of the international terminal dues changes have yet to be implemented. We believe that with the roll-out of the various mitigating measures which includes bilateral negotiations of terminal dues among others, SPOST may see another one to two quarters of volatility in postal operating profit before it stabilises. This analyst report is shared at SGinvestors.io. Reiterate BUY with Target Price of S$1.55. We reiterate our BUY call on Singapore Post (SPOST) with Target Price of S$1.55 as SPOST is in a good position as it regains its focus on Singapore, leveraging on its existing network as it implements its strategic plans. Going forward, execution will be a key determining factor of its transformation success. Our estimates have yet to factor in the potential new areas of growth for SPOST.